Let me tell you a secret about kitchen gadgets: The simpler ones are almost always best. Sure, you can fill your kitchen drawers with garlic mincers, egg separators, salad cutters, waffle makers and electric meat slicers — but how often will you really use those things? Rarely, I’d guess. And will any of them actually make you a better, more efficient cook? Nope. The kitchen tools worth investing in are ones that either serve a multitude of purposes — a food processor, a stand mixer, an Instant Pot — or that are essential for carrying out a basic kitchen task you do often — a knife, a peeler, an oven thermometer. 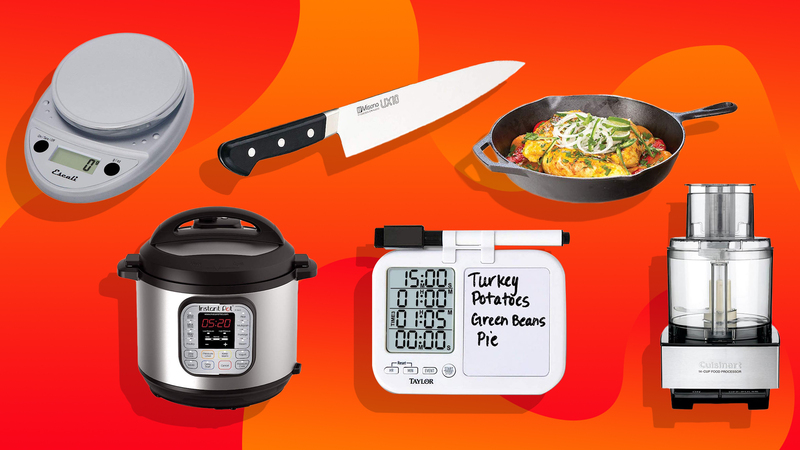 At the end of the day, flashy gadgets won’t help you cook like a pro. A few high-quality basics are all you really need to get started. As a recipe developer and a former restaurant cook, I keep single-use gadgets out of my kitchen and instead rely on tried-and-true tools for all kinds of sweet and savory recipes. If you’re trying to up your kitchen chops but aren’t quite sure where to start, the following 13 kitchen tools are legitimately useful and worth investing in. Some are absolutely essential, while others will make your life easier and your time in the kitchen more efficient. If you want to be a better cook, you need to start with the basics. Almost every meal starts with some slicing or chopping, which means a good knife is the workhorse of every kitchen. 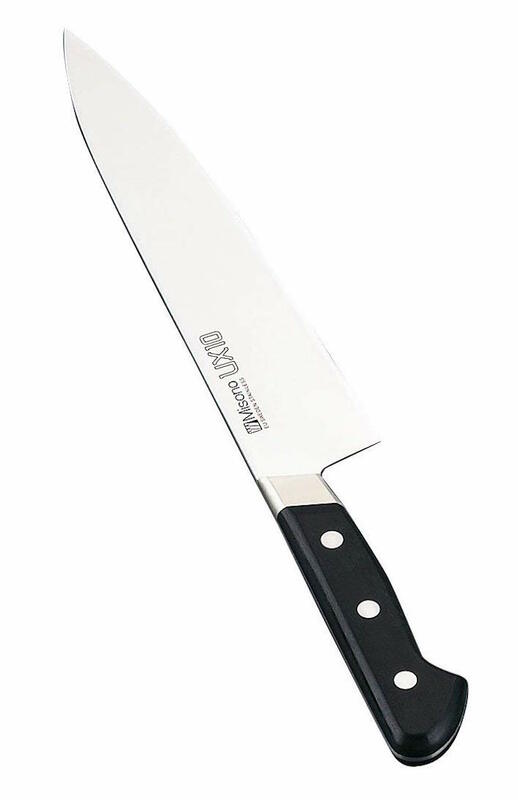 As someone who cooks both professionally and for fun, I love the Misono UX10 8.2-inch gyutou knife. It’s not too heavy and not too light, and the length (middle of the road as far as chef’s knives go) is big enough for cuts of meat but small enough for more precise tasks like slicing and dicing vegetables. It’s a little pricey, but it’s worth noting mine is nearly 10 years old and still feels as good as new thanks to regular sharpening and basic maintenance care like handwashing and drying to keep it from rusting. If you want a cheaper option, the Victorinox Fibrox 8-inch pro chef’s knife is another good choice. To be clear, you don’t need a stand mixer in order to be a great home cook. (I actually don’t have one, although it’s at the top of my wish list.) But a solid stand mixer is worth the investment and makes it possible to do all kinds of tasks in a fraction of the time they would take by hand (or for a fraction of the mess you’d end up with if you used a hand mixer). 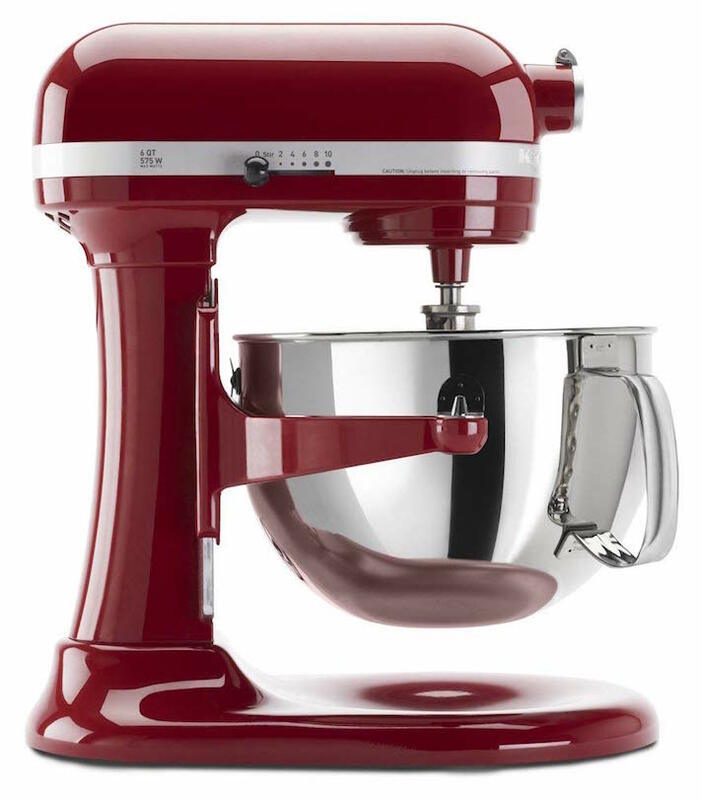 Stand mixers make baking a breeze and are the best way to ensure things like whipped egg whites, kneaded dough and creamed butter come out perfectly every time. Plus, you can buy all kinds of additions that make it possible to grind your own meat, roll and cut your own pasta and even juice your own fruits and veggies. If you like to bake, you might know that measuring dry ingredients like flour and sugar by volume is actually pretty inaccurate and can have a big impact on your final product. 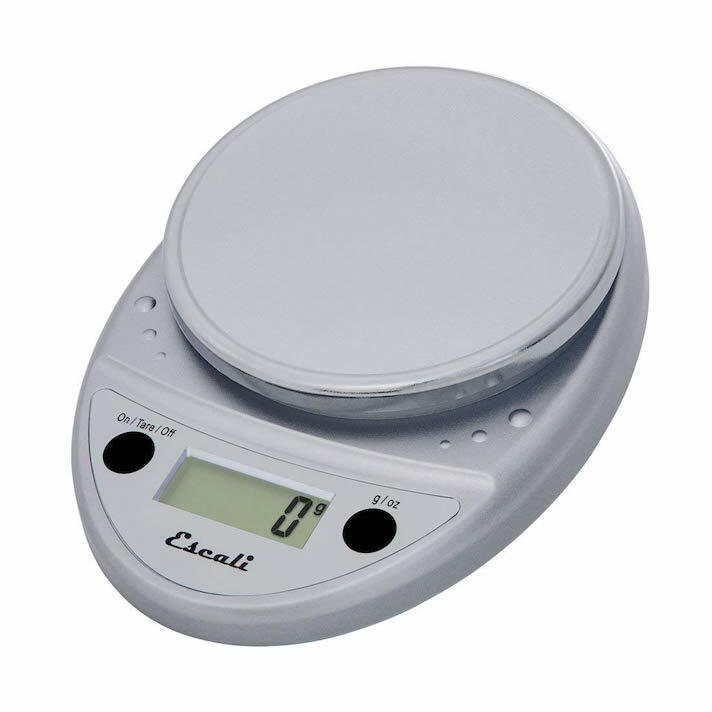 Instead of using unreliable cup and tablespoon measures, use a digital scale to measure ingredients, and you’ll get better, more consistent results. Many recipes, especially ones written outside the U.S., will give weight measurements instead of or as well as volumetric measurements; if not, it’s easy to Google the weight equivalent of volume measurements for all kinds of different ingredients. 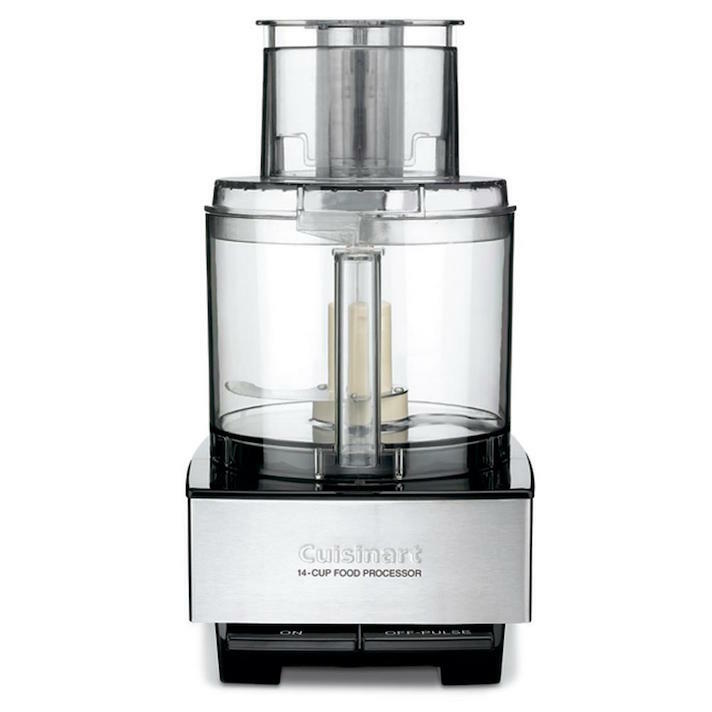 When it comes to tabletop appliances, blenders get a whole lot of love. But here’s the thing: A food processor can do many of the things a blender can and then some. You can make smoothies in a food processor, and it’s actually easier to scrape down the sides and keep things moving than it would be in a blender. In addition, you can use the slicing attachment to slice veggies and the grating attachment to grate big quantities of cheese or potatoes all at once. Of course, the blender and the food processor aren’t indistinguishable, but if you’re deciding between the two, a food processor will be a bigger overall help in the kitchen. Let’s talk about meat for a second. If you struggle with cooking meat at home and constantly end up with cuts that are dry and tasteless, it’s because you’re overcooking them. The problem is undercooking meat is a food safety no-no, so it’s natural to err on the side of caution and give it a little extra time in the oven just in case. The easiest way to cook tastier meat? 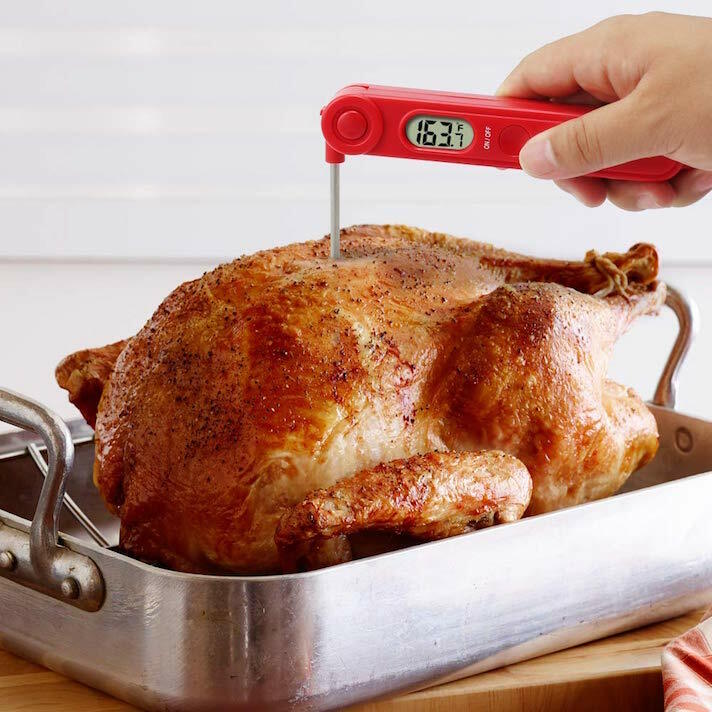 Invest in a instant-read thermometer, and take your cut out of the oven as soon as it reaches the minimum safe internal temperature (the FDA lists those here). Speaking of temperature: Do you actually know how hot your oven runs? While you can set the temperature with a dial or a digital control, these mechanisms aren’t perfect and can actually be way off, especially if your oven is old. Instead of just assuming your oven is 350 degrees F because that’s what you set it to, invest in an oven thermometer that will tell you the actual temperature inside at all times. 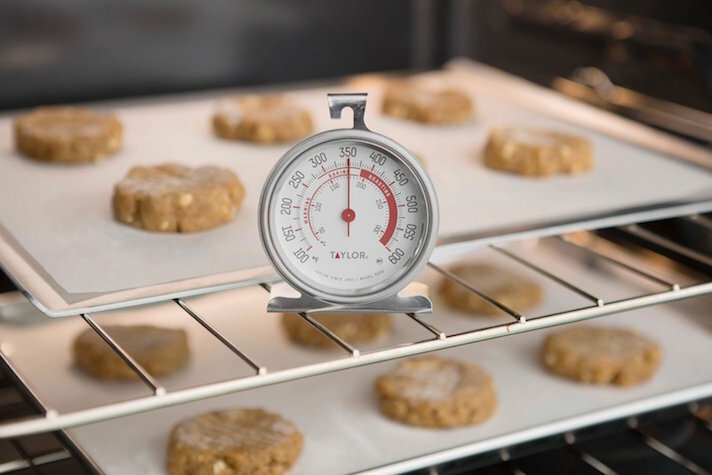 This is especially great for baking because too high a temperature can cause uneven cooking and burning, while too low a temperature means a longer cook time and the potential your treats will dry out. Is peeling vegetables the bane of your kitchen existence? The process can be tedious, but ditching your old peeler for a set of sharp Y-shaped peelers can make it quicker and easier. 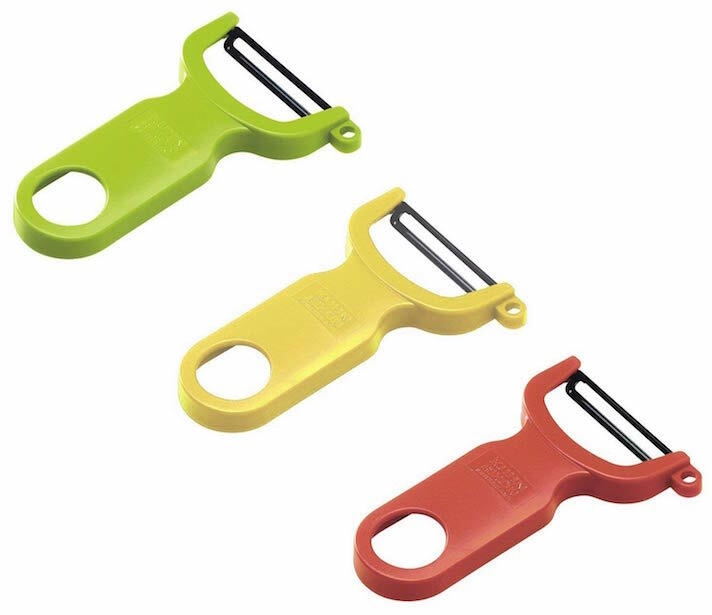 These Y-shaped peelers are more natural to use since you don’t need to angle your hand in a weird way when you peel. It’s worth getting more than one too: Any peeler (or knife, or anything you use to cut through something else) is safer and more effective when it’s sharp because the cut is smoother and you don’t need to apply as much pressure. Buy a few plastic peelers to stash in drawers, then replace the blades with new ones as soon as they dull. 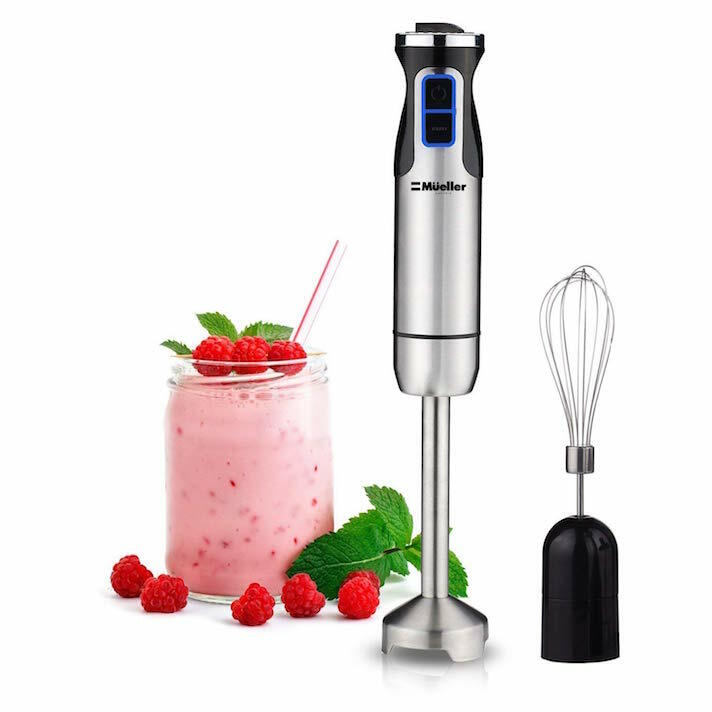 If you make blended soups or smoothies often, an immersion blender can save you the trouble of cleaning a whole food processor or blender. You can purée soups in the pot you cooked them in or blend smoothies right in a cup or jar. This immersion blender also has a handy whisk attachment, which is great for when you need to do heavy-duty whisking that takes more than just elbow grease but might not warrant full stand mixer treatment. Bench scrapers started out as bakers tools. 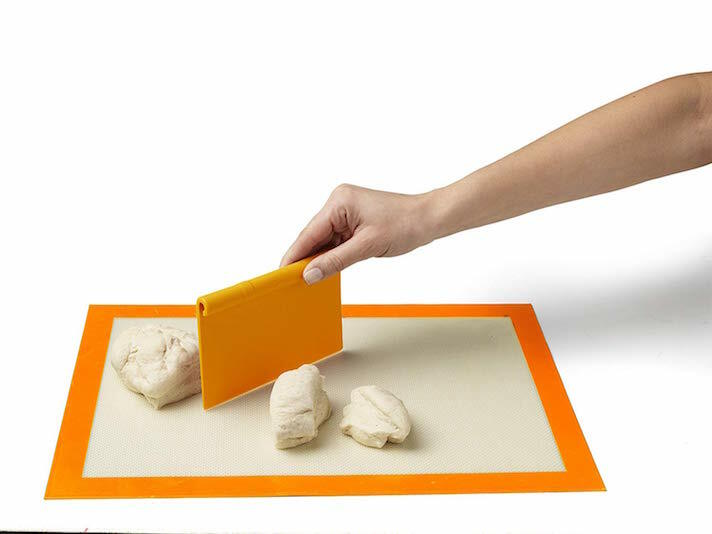 They’re great for scraping dough or batter out of a bowl or cutting dough on a board. Beyond that, though, they’re great to keep on hand for clean, efficient food prep. You can use them to scrape chopped veggies from your cutting board to your bowl without dirtying your hand or dulling the blade of your knife. I like to keep one out on the counter at all times and use it to easily scrape ingredients up or move them from one place to another. Sure, the timer on your smartphone works just fine for cooking. But is it really the best you can do? It’s almost guaranteed your phone will get coated in meat juices or dried bits of dough, which isn’t ideal when we’re talking about such an expensive and essential piece of equipment. And sure, a regular old kitchen timer is good when you’re making a one-component meal, but often, you have several things going at once and need to set several timers. 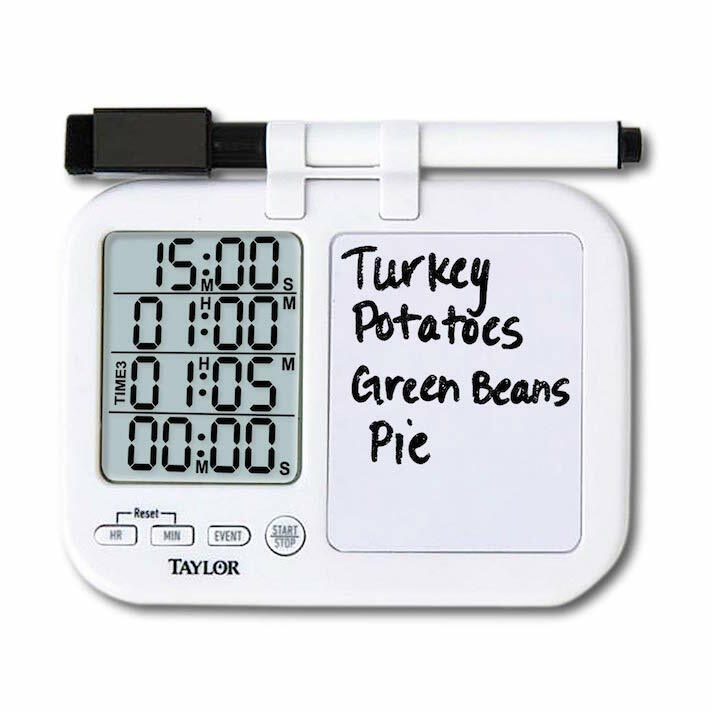 Spare your phone the potential damage and get a four-event kitchen timer, which keeps track of up to four timers at once and makes more involved meals or recipes a cinch. Generally, trendy kitchen gadgets aren’t worth the money or the counter space. The Instant Pot is the exception. 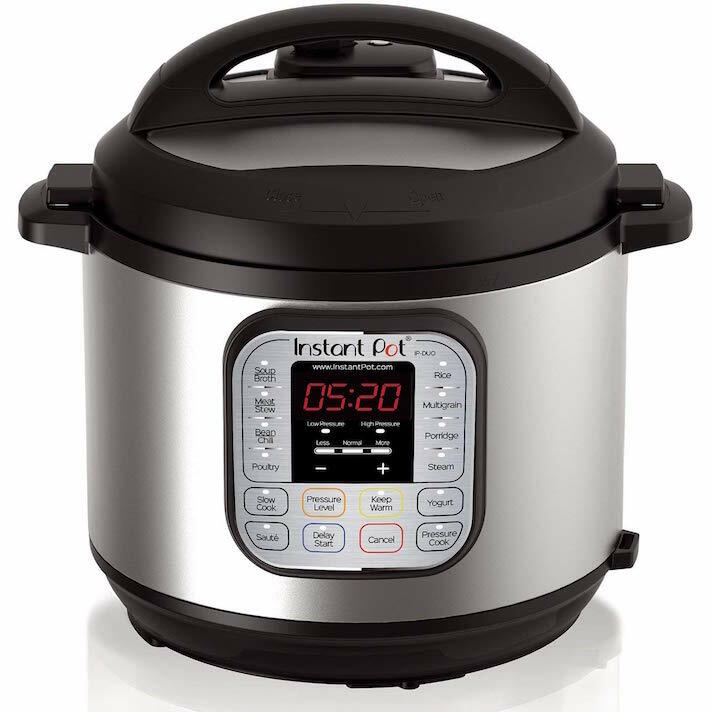 It’s better than a slow cooker because it can act as a slow cooker, but the pressure cook setting is its most magical feature because it allows you to cook things that generally take hours, like braised meats, in far less time thanks to the combination of pressure and temperature. And anyone who has ever tried to cook rice on the stove only to burn the bottom and over cook the top will vouch for the fact that the rice cook setting is invaluable too. 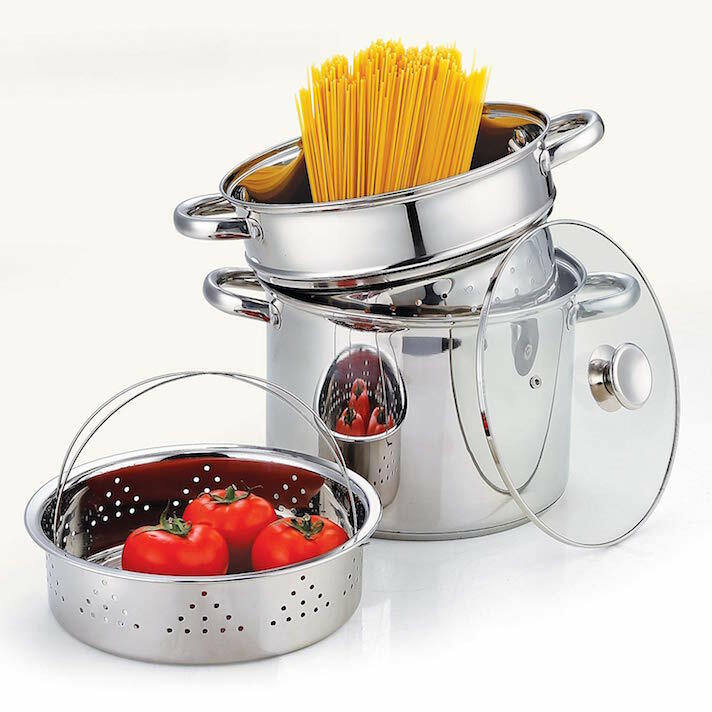 Yes, you can boil pasta and steam vegetables without special perforated basket inserts. But these removable baskets allow you to do some pretty cool stuff that can make your food taste appreciably better. First of all, using a steamer basket instead of just submerging ingredients directly in a small layer of steaming water means they’ll steam evenly instead of getting slightly overcooked at the bottom and staying crunchy on top. And a removable pasta basket means you can drain pasta without pouring out the starchy pasta water — pasta water is great for making quick emulsified sauces with butter or olive oil since it contains some of the starch from the pasta and will lead to a thicker, more stable sauce. If you’re only going to invest in a single skillet, make it a 12-inch cast-iron. When properly seasoned, a cast-iron skillet is relatively nonstick, so you can use it for tricky things like eggs and pancakes. (Although it won’t be as nonstick as Teflon or coated ceramic, so it’s a good idea to add some fat to the skillet before you add anything else.) 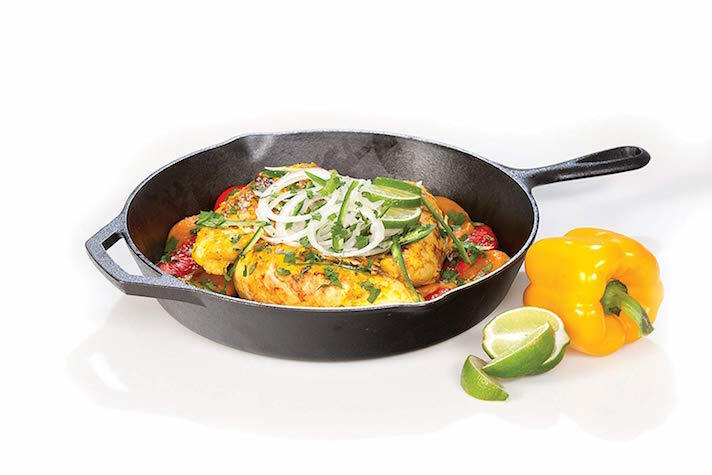 The real advantages of cast-iron, though, are that it works on the stovetop or in the oven (unlike Teflon or anything with a plastic handle) and it retains even heat throughout. Because of this, it’s great for pan-roasted meat or fish dishes that start with direct heat from a burner and get finished with all-around heat from the oven. It’s also good for baking cakes or quick breads since the allover heat makes for even cooking.